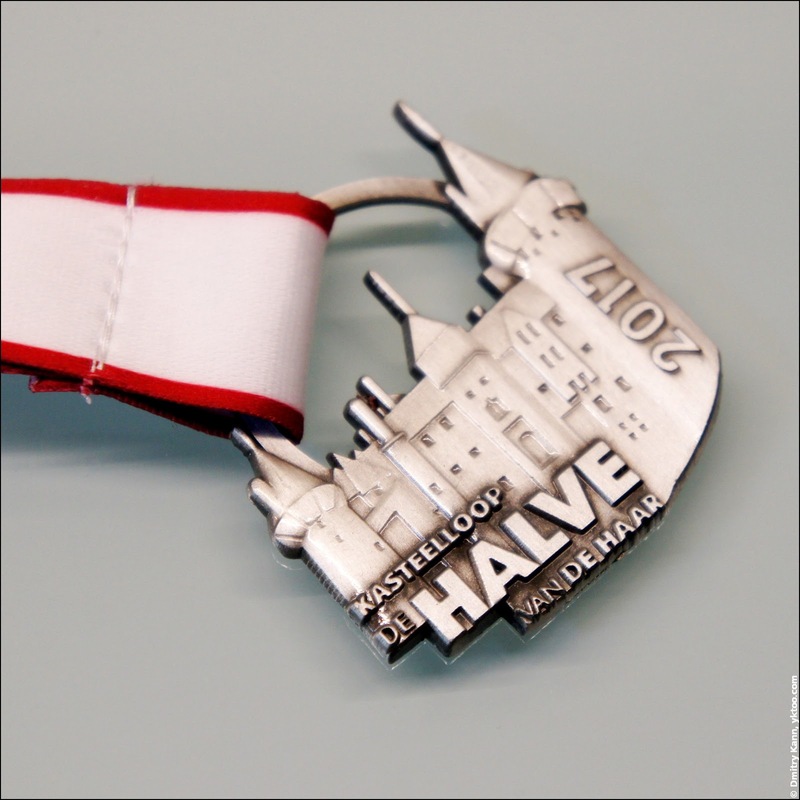 De Halve van De Haar 2017: participant's medal. 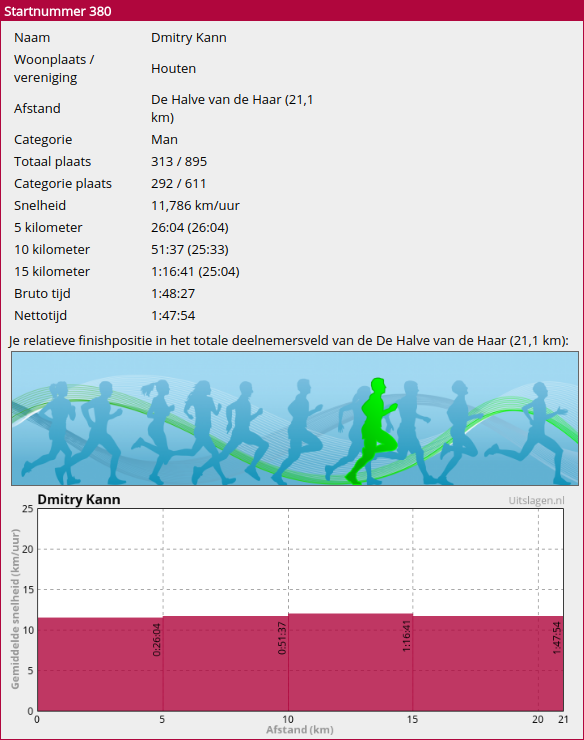 It's a significant improvement compared to the Amersfoort (1:55:04) and the previous De Halve (2:01:46) runs. It looks the trainings do make a difference after all! 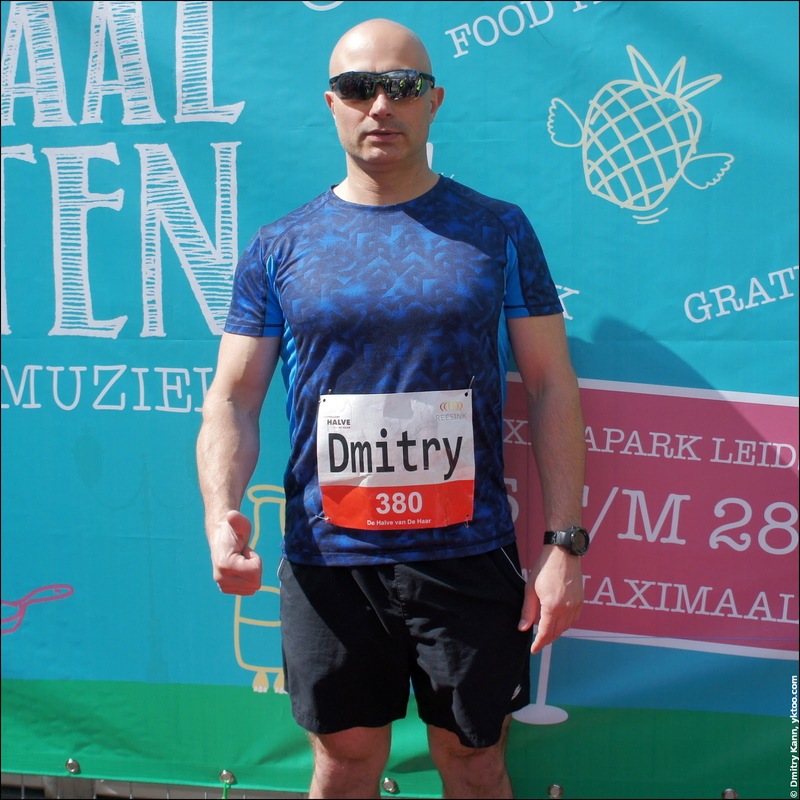 The outcome is the 313th place (out of 895) overall, 292th place (out of 611) among men. By the way, the places are assigned based on gross time (measured from the start shot) and not on net time (from the moment you cross the start line), which doesn't make sense. The start area is always crowded so it takes a while to reach the start line. It took me 33 seconds, for instance. Anyway, Ad Sluijter, who took the first place, has finished half an hour ahead of me, so there's some room for growth!